What are the must-have criteria for top-quality natural bone broth and stock manufacturing to meet the strict quality and taste standards of Michelin-starred restaurants? 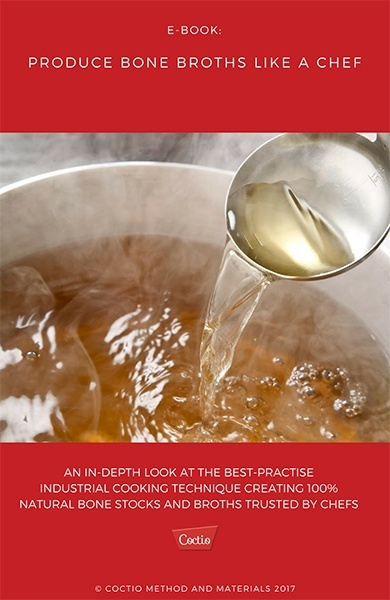 This free eBook will help you identify the cornerstones and challenges you might face in industrial bone broth and broth-based food manufacturing as well as help you take into account the technical aspects required to respond consumers needs and food choices of the clean label and natural foods prepared of natural ingredients, such as bone broth. Read the eBook to learn where the bone broth cooking challenges hide and how to prevent them.